It has often been said that Dylan pitched his personality according to his audience, quipping devastating one-liners as well as drawing himself into hilarious and surreal encounters. The friends of his early adulthood were pivotal in the development of the poet, the actor, the comedian and the man. Based in wider Swansea and Gower, they included Vernon Watkins a fellow poet, bank clerk and member of the Kardomah Gang and Dan Jones his childhood partner in crime, composer and linguist, as well as Bert Trick the socialist grocer, Thomas’ South Wales Daily Post colleagues and the Little Theatre amateur dramatics crew. Dr. John Goodby and Dylan Thomas Society Chairman Jeff Towns will consider the influence of these people on Dylan’s personality and poetry through the very places in which he socialised. 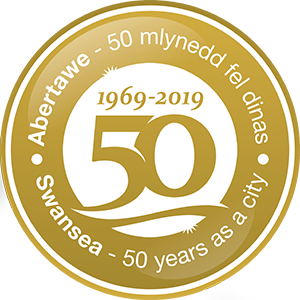 Take a journey through Swansea and Gower enjoying a short talk by Sidney Roe, who grew up with Dylan and was Chief Engineer at BBC Swansea, during lunch at Langland’s Brasserie. The tour finishes with a short walk up to Arthur’s Stone at Cefn Bryn – where Dylan tried to invoke spirits after the performance of a play. Food/Drink Provision: Two course lunch and afternoon cake included. Drinks not included. Recommended clothing: Comfortable hard-wearing footwear, waterproofs; warm layers, sun cream and hat.